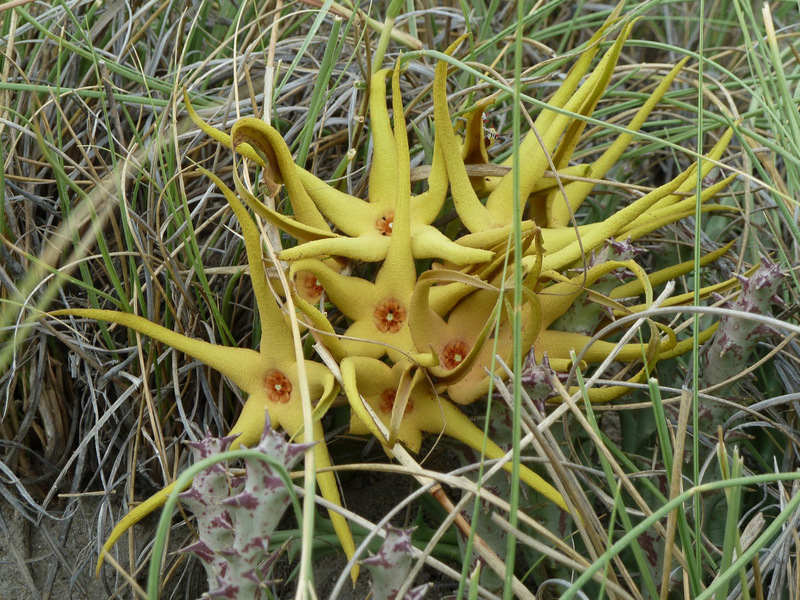 The yellow carrion flower is so named because it produces a pungent odor reminiscent of rotting fish when in bloom. The odor attracts flies which lay eggs and pollinate the flowers. Carrion flowers are native to southern Africa, and are not found in North America. Identification: These flowers are easily distinguished by their large clusters of 6-24 brightly colored, five-petaled, starfish-shaped flowers. 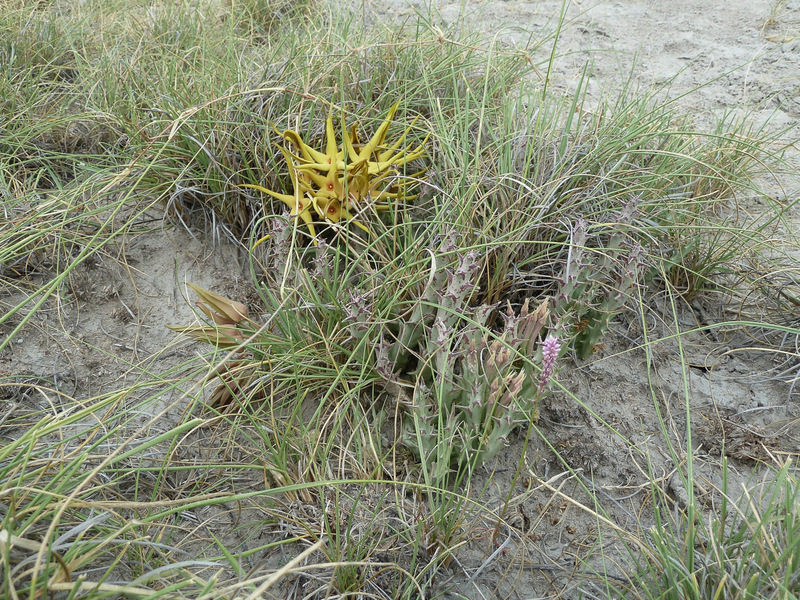 Flowers are directly attached to the plant (no stem), usually clustered near the base. Flowers may be mustard yellow ranging to orange, dark orange, or almost maroon. 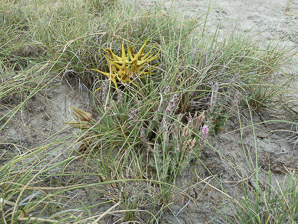 Plants remain in flower from December to April. These plants are succulents, with waxy, thickened stems squarish in cross-section. 1-6" (3-15 cm) high. The stems have thornlike projections about ⅜" (1 cm) long. 1See this excellent article comparing both subspecies. Orbea lutea subsp. lutea description by Thomas H. Kent, last updated 12 Oct 2018.